If there was a gender swapped episode of the tv series Supernatural, with women in the male roles and vice versa, who would you cast as Sam, Dean and the rest of the characters? 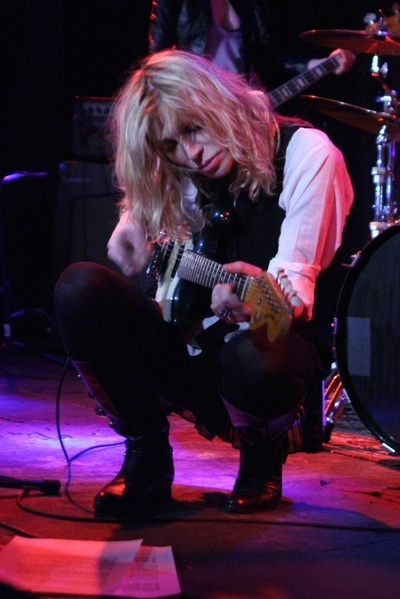 Courtney Love, whom my husband suggested for the role of Bobby Singer. Photo by Amanda Farah, Cc-by-sa-3.0. I haven't seen Supernatural, so I couldn't say. I do think it would be interesting, however, if the female actors who currently play the female roles and the male actors who currently played the male roles, switched places. That would work well if there were an equal number of women and men in the show. There aren't, which is partly why I posed the question. There are only a couple of recurring major female characters and so far (where I'm up to in the show) all of them have ended up dead and stayed that way (unlike the leads, who have come back from the dead numerous times). I would be interested in seeing a show like this with a decent number of women in it who actually get to do stuff for a change. I have seen this shows ads but never watched.